This is a press release about Parallel Wireless 5G RuralFirst project. Despite significant strides in the telecom industry, which have been made in terms of technology and reach, the spread of network connection in rural areas around the world, remain the last frontier for the telecom industry. When it comes to Africa, the continent has a relatively low teledensity, approximately 44% in sub-Saharan Africa – well below the global average of 66% as per the GSMA Global Mobile Economy Report 2019. While the numbers of mobile subscriptions will continue to grow, the rate of uptake has slowed. There are a number of factors influencing this decline, including a high proportion of Africa’s people who continue to live and work in rural areas where telecom providers have scarce coverage or, the coverage they do provide, have limited capability to run services required to function in today’s world. Secondly, much of the continent’s population is below 16 years of age, with even further limited ability to afford the access to mobile technology or to the Internet. Herein lies both the challenge and the opportunity. With fierce competition in the telecom market, telcos have seen their Average Revenue Per User (ARPU) continuously falling. This also holds true for Africa, although, the continent’s future telecom penetration revenue growth will come from rural areas and tomorrow’s workforce (provided they can gain access to the services and tools they need to propel them into the digital era). Low population density and difficult terrain add to the challenge of providing a robust communications network across the continent. It is then not surprising that, typically, the attitude towards rural expansion is that people in those areas need the basic services first, which might, be upgraded later, depending on the returns, to provide better technologies. Telecom service providers will typically use the oldest generation technology available to expand in rural areas first, rather than expending capital on newer generation technologies. This approach is fundamentally flawed, as it means investing in the older generation technology, which will become obsolete – faster and sooner as the digital wave continues to roll. When it comes to newer generation technologies like 4G and 5G, urban areas tend to get priority at present, generally because customers in these areas are believed to have a better-paying capability. Yet, by providing a better solution to the rural areas, it will open up new avenues of economic and social growth. So, what are the solutions to telco technological and commercial challenges as they consider network expansion? Several reports show that when there is access to services/education/finance/banking etc through mobile, there is a correlating growth and sustainability in social and economic development. So, do we need to explore a case of private public participation in order to include Africa’s out-of-mobile into the mobile conversation? One possible solution is a recent initiative by the British government in association with telecom players and other technology solution providers and one that can be emulated and perfected for Africa. Named 5G RuralFirst, the initiative explores new network deployment strategies for rural areas and promises to provide new business models for rural communities. It is an attempt at re-imagining the mobile or cellular infrastructure and demonstrating that 5G network capability can be deployed easily and cost-effectively to serve a range of enterprises, community or even private networks beyond cities. The 5G RuralFirst project is also an attempt at realizing that 5G is not just an evolution of 4G. It is a new and different generation with new ideas, new technologies, new strategies, and new business models. The project is using Parallel Wireless’ All G approach, which demonstrates that Telcos can deploy all generation networks (2G, 3G, 4G and 5G) on the same telecom network infrastructure helping the telcos to be future ready without having to spend a fortune in shifting from older generation to newer generation technology. 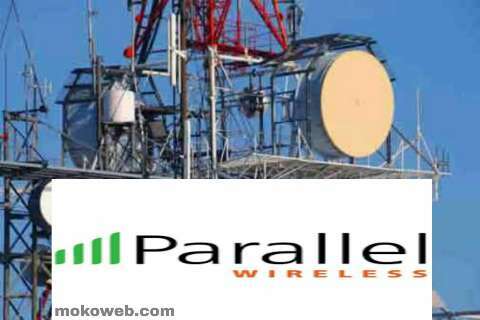 Parallel Wireless is one of the partners in the RuralFirst project. Using Parallel Wireless’ HetNet software platform to disaggregate hardware and software, the project is able to create a unified architecture that can operate with 2G, 3G, 4G, and, 5G systems. The main strategy of the technology is to use the abstraction of RAN and core network to run on a commercial off-the-shelf server, resulting in an embedded network that allows interoperability with RAN equipment from other vendors. This further enables a managed evolution and continuous upgrade of the network. As part of the 5G RuralFirst project, this technology is being used to demonstrate a cost-effective way to provide high-speed connectivity in low-ARPU regions. Trials are currently being conducted in three locations – North Scotland in the Orkney Islands, and Harper Adams and Somerset, in rural England. For the trials, HetNet Gateway was first set up in the Orkney Islands. Once the initial set up was completed, a connection was made to the Datavita core cloud centre on mainland Scotland. After that, the HetNet Gateway was unplugged and driven 200 miles to Glasgow and reconnected to the new housing at the Datavita data centre at Glasgow. The trial established that in rural and remote areas, a dynamic and shared spectrum can make a real difference. A number of use cases, including Internet of Things (IoT) connectivity in fish farms; supporting tourism with mobile connectivity on bus routes; augmented reality apps at World Heritage sites like the 4,000-year old Ring Brodgar standing stones, are currently being tested as part of the trial. All these are sure to increase jobs and open new revenue-generating options for people in rural areas. When it comes to expanding the network or deploying a new generation technology in rural areas, cost becomes a big hindrance. The 5G RuralFirst project busts a number of myths about rural telecom expansion, as well as throws up solutions, which promise to make it easier for service providers to provide new and latest technologies in difficult-to-reach areas. Imagine the possibilities for Africa including rolling out comprehensive e-learning platforms that will see the youth being tomorrow’s business leaders. This news on parallel wireless 2G, 3G, 4G & 5G network services will interest you.